The U.S. Supreme Court’s decision on federal health-care reform dominated the news last week, leaving small-business owners with more questions than answers. With far less fanfare -- a slew of new state laws went into effect for the fiscal year beginning July 1. Many of these state mandates might seem a bit wacky on the surface, but they’re all going to affect someone who operates a business or other enterprise. 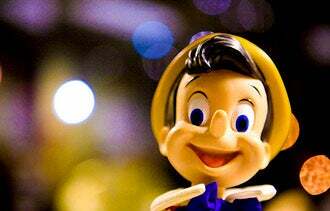 Rhode Island: Now you can legally tell a “white lie” online in Little Rhody. State lawmakers repealed legislation that mandated fines and jail time for authoring untruths on the Internet. That means employees won’t be going to jail for emailing in sick when they’re really at the beach. Indiana: It's now legal to buy, sell or trade motorcycles on Sundays. Unlike car dealerships, which are closed on Sundays in the state, motorcycle dealers have always been able to sell parts on Sunday, even enough parts to build a bike if the customer so desired. The new law allows them to sell the whole vehicle seven days a week. No such luck for auto dealers. Virginia: The honey industry is abuzz with new legislation that provides $200 grants to registered beekeepers for every new beehive purchased. Also in Virginia, breweries can now sell visitors full glasses of beer, even if there is no restaurant on site. This is welcome news for the small craft brewery industry where previously, owners could only provide free samples to patrons. Kansas: Happy hour is back, which is worth a toast from restaurateurs. A 27-year ban on happy hour prices prompted bars to offer daylong specials. Best news for the tavern owners is that patrons no longer happily head to nearby Missouri for their discount drinking. Idaho: Law enforcement can now issue arrest warrants by fax, and since most citizens don’t have a fax machine at home, such warrants could be issued to an employee at work via the employer’s fax machine. Awkward. Of course, this law would prove less so for those with home offices. California: A state assembly bill passed into law now requires commercial trash recycling for businesses and apartment buildings of more than four units that have more than four cubic yards of waste per week. Mississippi: A new state Senate bill favoring employers in a workers’ compensation dispute says no payment will be owed a worker found to be under the influence of alcohol or drugs when an on-the-job injury occurs. Happy hour Kansans should be glad they don’t reside in Mississippi.